Rhizomelic chondrodysplasia punctata (RCDP) is an autosomal recessive condition that occurs in both males and females and often affects people who have no known family history of the condition. Like other rare conditions, RCDP can be cruel and difficult for the children who live with it. Most children with RCDP do not survive past five years of age; few make it to their teen years. RCDP is among the many rare conditions with no cure, and my sons Jake and Jordyn, at ages 15 and 11, are considered long-term survivors. RCDP occurs in less than 1 out of 500,000 live births, which does not include those who are incorrectly diagnosed. RCDP characteristics include shortening of the limbs, bone and cartilage abnormalities, seizures, abnormal facial appearance, severe mental retardation, profound psychomotor delays, and cataracts. Children with RCDP endure a lifetime of medical treatments, medicine, and therapies. Many children also have recurrent respiratory infections and aspirate. Since they cannot take nutrients orally, they require feeding tubes for nutrition. For my kids Jake and Jordyn, RCDP has meant lots of hospital stays and surgeries, therapies, and specialists. Despite the difficulties that come with this rare condition, Jake and Jordyn continue to bring so much love and hope into our lives and the lives of other RCDP families who have younger RCDP children. We’re like a lot of other families of kids with rare conditions who do our best to shower our children with love and try to keep them from suffering. With less than 100 children diagnosed worldwide, and four of those children currently residing in the state of Ohio, it was necessary to connect these families. One way our family decided to fight for our children was to establish RhizoKids Ohio, a nonprofit that funds research about RCDP. Because RCDP is an orphan disease and is so rare, a natural history study has been started by families to compile data through A.I. DuPont in Delaware. Natural history studies follow the progression of the condition and help families to know what to expect in a general sense when their child receives a diagnosis. Along with RhizoKids International, RhizoKids Ohio supports parents and families who are dealing with the realities of RCDP. Each year, I am fortunate to attend the annual medical conference for families of children who have been diagnosed with RCDP and RCDP angel families whose children have earned their wings too soon and lost the fight against RCDP. These conferences allow the families of children to socialize and learn about new medical advances from the doctors, who come to Alabama for one-on-one time with each family and thorough examinations with each child with RCDP. Having grown from five families, the conference now welcomes over 20 families each year, representing one-third of the worlds RCDP population. Families have come from Australia and several different countries to attend. Our RCDP family is an extension of our own family, and we share in their joys and sorrows. The greatest part of the experience, for me, is seeing families with a new diagnosis grow from being scared and bewildered to becoming empowered mentors and experts in their children’s care. The journey of parenting two children with a rare and life threatening condition is even more uncommon than RCDP itself, and our goal as a family is to share knowledge and resources to make the journey easier for others. I will get to share my experience of being an RCDP Mom and what this life has taught me at the meeting of the Global Foundation for Peroxisomal Disorders this July. I will represent RhizoKids International and RhizoKids Ohio to bring the awareness and advocacy to RCDP from a parent’s perspective. Our children deserve a voice. Mindy Lee is the proud mom of Jake (15) and Jordyn (11), both of whom were diagnosed with a rare genetic disorder, Rhizomelic Chondrodysplasia Punctata (RCDP). Along with Jeff, Jake and Jordyn’s father, Mindy established RhizoKidsOhio to raise critical funds for research and natural history studies for this disorder. In addition to being President of RhizoKids Ohio and an active member of RhizoKids International, Mindy is a member of the Patient and Family Partnership Council at University Hospitals Rainbow Babies & Children’s. She is able to support patients and families because she has walked in their shoes. 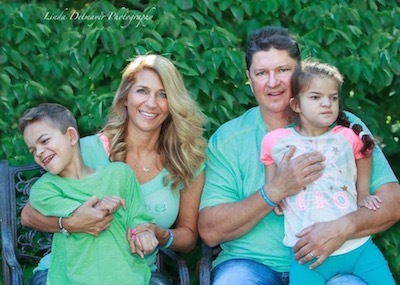 Mindy, her husband Doug, and her children Jake and Jordyn, reside in Ohio. The information on these pages is not a substitute for appropriate medical care. Please contact your child's physicians before making any changes in your child's care. Complex Child is for research purposes only and does not constitute medical advice.